Powerful simplicity' is indeed an apt description of Corsini's personal design style, as represented by the Pedrera series. Antoni Gaudi, who originally designed "La Pedrera", is generally considered the great master of Spanish Modernism but his unique body of work cannot be defined by any single style or simple classification. Pedrera coffee table was inspired by Antonio Gaudis famous building La Pedrera in Barcelona. In 1955 La Pedrera’s loft space was transformed from a simple laundry room and storage area into 13 modern duplex apartments and in charge of the renovation was the Spanish architect Barba Corsini. To reinforce the modernist style of the rooms, Corsini decorated the apartments with furniture he designed himself, including Pedrera lamps and tables and that’s how Pedrera coffee table was born. 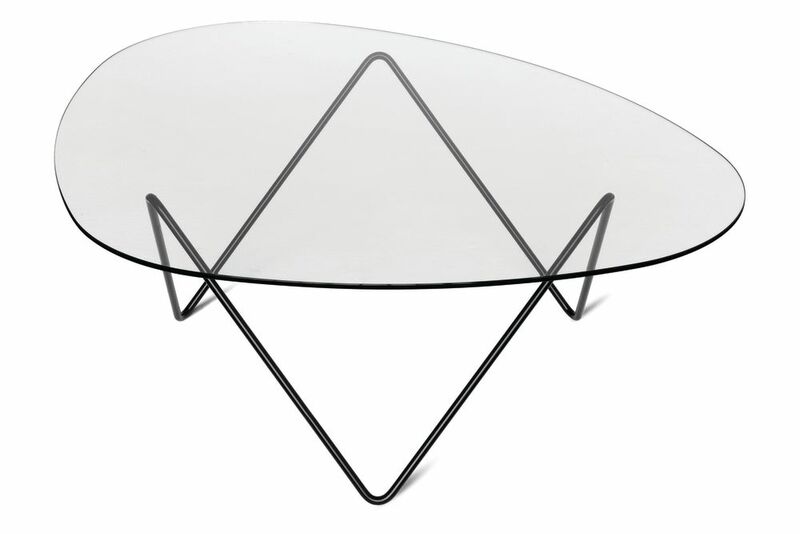 Pedrera coffee table has a black steel frame and a glass table top. Barba Corsini (1916-2008) was a leading functionalist architect who won international praise for his architecture and his design for La Pedrera. Corsini was strongly inspired by German architect, Mies van der Rohe and American architect Frank Lloyd Wright. He also had a great affinity to Finnish architecture, which he believed to be the finest in Europe on account of the powerful simplicity of the designs. 'Powerful simplicity' is perhaps an apt description of Corsini's personal design style, as represented by the Pedrera series.